Succession planning is a process that involves identifying and developing new leaders to fill key roles within a company. Most employees in executive positions live in the present and do not give much thought to how the business will operate when they are gone. Succession planning helps ensure that the right person takes over these responsibilities to allow the business to continue operating smoothly. Learn more about the importance of executive planning and how to create an effective succession plan. While business succession planning has been proven highly advantageous to a business’s long-term sustainability, many organizations continue to put off this crucial task. When proper succession planning is performed, businesses are better able to avoid costly mistakes and can promote the right people to top positions. In addition, succession planning can be useful when identifying areas of performance where some employees may be weak. When these areas are identified, proper training can be implemented to help create an overall stronger workforce. Succession planning essentially allows businesses to ready themselves with an impressive pool of talent who are ready and willing to step into leadership roles. Succession planning can have a direct impact on your finances. When succession plans are created and updated regularly, businesses are able to save significantly on training and external recruitment which can be much more expensive than simply promoting from within your business. 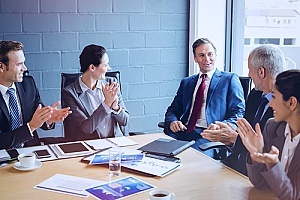 Although training is a major component of a succession plan, succession training can also be highly useful when identifying competency gaps between what workers need to know and what they actually know. Understanding your employees’ strengths and weaknesses are can help your business make great strides in both performance and productivity. When done early enough, you will have ample time to prepare your business for changes in the future. The first step of effective succession planning is to consider the future needs of your business. What significant challenges do you see for your organization in the next one to five years? A strategic plan can be an invaluable tool as you identify your business’ vision, values, and mission. Gaining insight about how you want your business to grow, what types of services you may offer, and who your target markets will be, can also be useful as you develop your employees in upcoming years. One of the most important parts of succession planning is the identification of crucial positions. These are roles that have a profound effect on a business and without them; a business would be unable to effectively meet their objectives. One way to identify critical positions in a business is to perform a risk assessment. When compared to current and future job vacancies, businesses are able to identify important positions within an organization. Remember that you do not want to fill a position just because it has always existed. Only fill roles that are essential to the growth of your company. It is important for businesses to have a clear understanding of the capabilities required for successful performance in these critical positions. This requires the setting of clear performance expectations and the regular assessment of performance to ensure that all employees know the key responsibilities of their positions. It can also be helpful to outline technical skills needed for the job, as well as any specialized industry or institutional knowledge required for each position. You may also consider ways to share knowledge, such as through mentorships or job shadowing programs. While filling future job positions is important, who you put into these positions is what makes a difference in the growth of your company. While succession planning, take the time to identify high potential employees. Consider how your current staff members would perform in new roles and if they have the potential to grow within the next few years. Take note of each employee’s existing skill levels, industry knowledge, ability to adapt, and their overall motivation level. Understand that while some employees may do well in their present positions, they may have trouble taking on new responsibilities. Once your existing employees have been chosen to fill critical roles and their strengths and weaknesses identified, it is time to develop an action plan for each high potential employee. Depending on the position that they will be filling, different employees may need varying amounts of training or additional education. Employees should be informed that a rise in position may mean increased responsibilities. Creating an action plan can help employees ease into their new roles. Action plans should include short-term goals, long-term goals, training activities, required competencies, and the target date in which these changes may go into effect. Once you have a solid succession plan in place, it is time to document succession management strategies. There are numerous human resource strategies that can be implemented and addressed in an action plan. To help ensure that your succession plan is successful, you will want to continuously monitor all workplace data and activities. If necessary, make adjustments to ensure that your plan will be effective in the future. You may also want to offer retention programs to help key employees stay. Your succession plan will be flawed if your employees choose to leave prematurely. Succession planning and management is a crucial component in human resources that focuses on the identifying, developing, and retention of skilled employees and their impact on future business objectives. 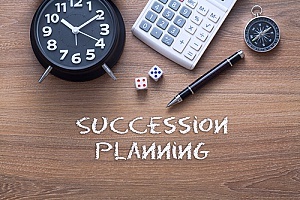 Businesses that develop succession plans acknowledge that their organization may change over time and that strong employees are needed to fill vacant roles. Whether you are developing a succession plan for a small or large business, major corporation, educational institution, or nonprofit organization, the process is the same. Unfortunately, it can be difficult to create an entire succession plan on your own without the help of an experienced business consultant. To ensure your company’s future is on the right tract, contact the business consultants at BBG today.